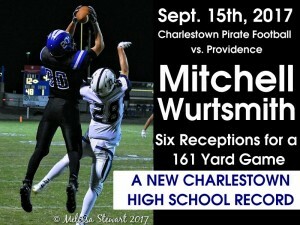 During the September 15th Pirate Football Game versus Providence, Senior Wide Receiver Mitchell Wurtsmith broke the Charlestown High School Record for Most Receiving Yards in a Game; breaking Tyle Odle’s 143 receiving yards versus Corydon in the 2011 Sectional. 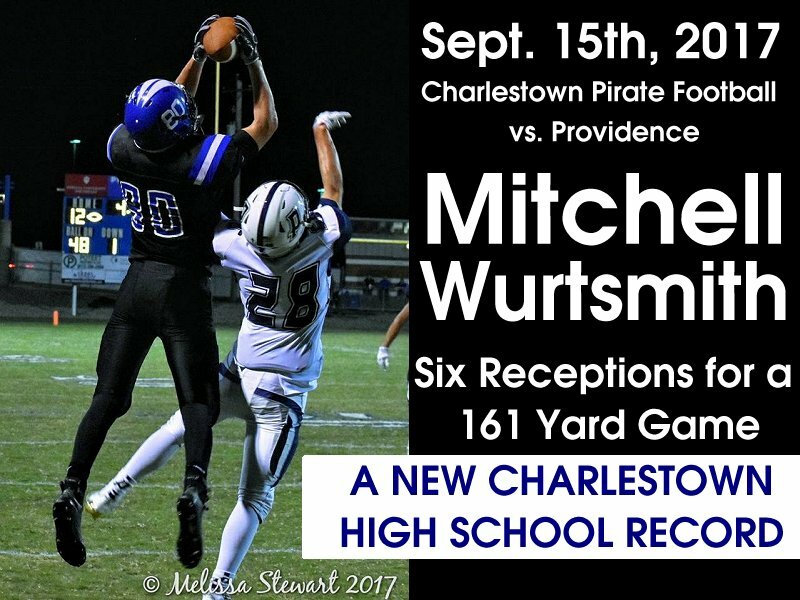 Wurtsmith finished the Providence game with six receptions totaling 161 receiving yards, including catching both of Charlestown’s two touchdowns of the game. 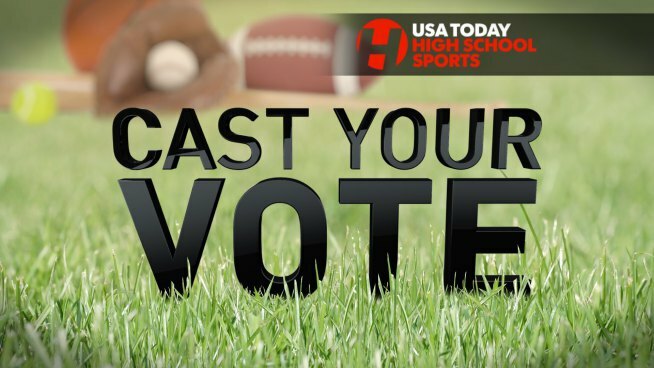 Through five games this season, Mitchell has 17 catches totaling 353 yards and five touchdown receptions. Congratulations to Pirate for Life, #80 Mitchell Wurtsmith. Indiana’s longest running high school football Homecoming Parade will be held Thursday, September 21st beginning at 5:00 pm from the south parking lot of the Charlestown High School. The parade route will include traveling south on Monroe from the high school, then west on Main Street before stopping on the city square for a pep rally. Additionally and traditionally, the Pirate Football parents will be selling rib eye sandwiches up on the square from 5:00-6:00 pm during the pep rally festivities like in years past. Pirate Football will host MSC football new comer Scottsburg Friday night in the Bone Yard with a 7:00 pm kick-off and annual Homecoming ceremony taking place during halftime of the game. HAPPY HOMECOMING PIRATE NATION! Charlestown Pirate Pride Sports Broadcasting will be live from North Harrison TONIGHT (Thursday) covering the big conference clash between Lady Pirate Volleyball (7-3 & 2-2 MSC) and the Lady Cats (6-7 & 1-1 MSC). Air time is scheduled to begin at approximately 7:00 pm. Jeremy Vincent, Frank Nuxoll and Chuck Ledbetter will have the call. 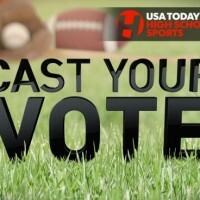 As always, you can reach the CPPSB broadcast by tuning in at www.CPPSB.com, if you absolutely make it to the games. Pirate Pride Sports Broadcasting’s coverage of Pirate and Lady Pirate Athletics is brought to you by Bill Broughton Trucking and Excavating. Due to the forecast of impending bad weather, including torrential rains for Friday, the Charlestown HS Athletic Department has announced the following schedule changes effecting Pirate Football, Lady Pirate Volleyball and Pirate Soccer. Lady Pirate Volleyball hosting Silver Creek in the CHS Sports Arena will begin at 5:30 pm Thursday instead of 6:00 pm (Junior Varsity first, followed by Varsity). Pirate Soccer hosting Scottsburg on Dutch Reis Field will begin at 5:30 pm instead of 6:00 pm. Finally, Pirate Football hosting Clarksville has been moved from Friday on Dutch Reis Field to Thursday evening with a 7:30 pm kick-off. SATURDAYS, AUGUST 19 THROUGH OCTOBER 28; 7:30 a.m. • Must be signed in by 8 a.m.; at the Baptist Health Medical Group, 2125 State Street, Suite 5 • New Albany, IN. No appointment is necessary. Patients must be signed in by 8 a.m. and will be seen on a first-come, first-served basis. Most major insurance plans are accepted. For more information, call 812.944.2663. 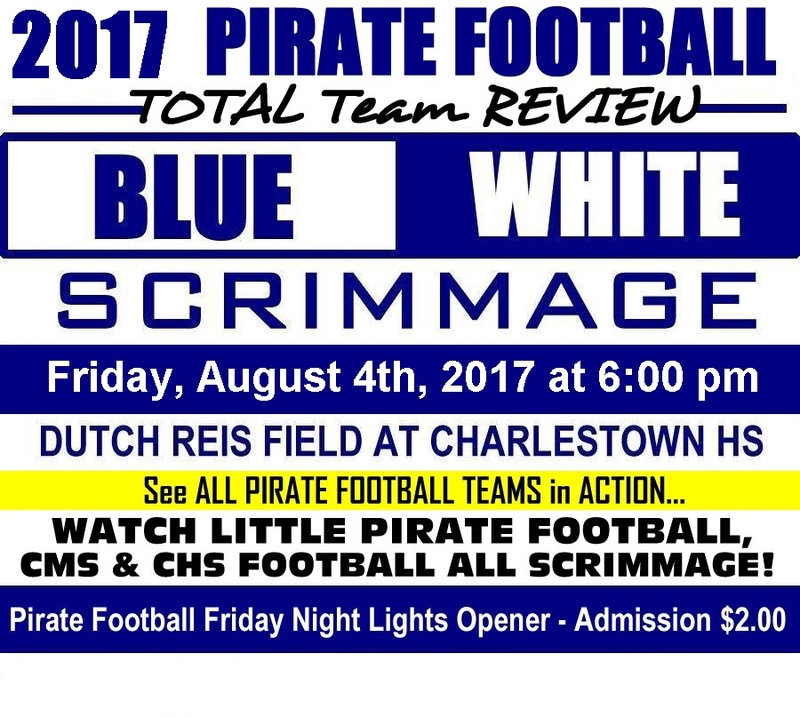 The Annual Pirate Football Blue-White Scrimmage will be held this Friday, August 4th on Dutch Reis Field, at Charlestown HS! 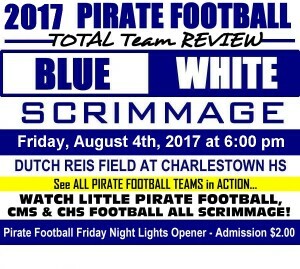 Watch ALL PIRATE FOOTBALL TEAMS Scrimmage, from Charlestown Little Pirate Football, to Charlestown Middle School Pirate Football, and of course…Charlestown High School Pirate Football!!!! Admission is $2.00 to support Charlestown football. 1st and 2nd graders will scrimmage from 6:15 to 6:30, 3rd and 4th graders from 6:30 to 6:45, 5th and 6th graders from 6:45 to 7:00, 7th and 8th graders from 7:00 to 7:30 and then High School Pirate Football will scrimmage beginning at 7:30 pm. Pirate Football will scrimmage at Floyd Central the following Friday (Aug. 11th); then travel to Silver Creek for the regular season opener on Friday, August 18th at 7:00 pm.